Another bright young musician taking the scary step of taking that plunge into the professional music scene. More and more young folk artists are bypassing record labels and just releasing what they can as EPs to get their names known. It's a tactic that really works and it has meant an explosion of talent is reaching audiences. Anna Hester is absolutely no exception of the array of wonderful voices and musical abilities reaching us. Even in a small four track EP you get such a clear indication of what Anna is about. Anna is multi talented with vocals, guitar, piano and percussion all being provided by Anna with a good support of other backing vocals and guitars from guests. Anna's voice did surprise me. Having done some Facebook, twitter and website exploration I had an idea of what I expected Anna to actually sound like. I was expecting a quieter, soft voice, but what we get instead is a very powerful and confident voice that positively booms out songs. This could be interpreted to mean 'loud' but actually the songs a gentle and soothing, but just sung with a controlled power to give you goosebumps, particularly with 'The Byrds' when some really commanding notes and levels are reached. There is a good mix in this small EP too, we have the first two tracks 'In The Meantime' and 'The Byrds' which are quiet slow and gives you a chance to really grasp Anna's individual sound, but then in 'Before it Falls' things speed up ever so slightly just to show that Anna is not a one trick pony and does have the skills to create subtle variations for a more mixed experience. Then you get the piano leading 'Watch Me' which takes the EP to an entire new level and almost sounds like something you'd get at one of those cabaret jazz shows where people would lie on top of the piano whilst singing. This final track also features an electric guitar which again adds more levels to an increasingly developing EP. 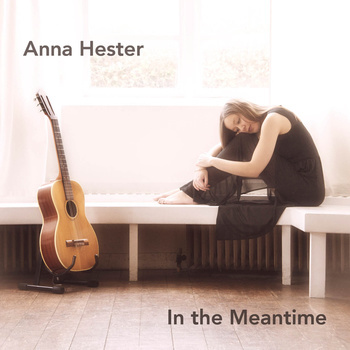 Anna Hester is certainly not done, big albums await and if she can cram as much into a full sized album as she did into this small EP then it will be a staple album for anyone's collection.